(The ticket processing provider has had some technical trouble lately. When author Cathy Day discovered her home town of Peru, Indiana, gave birth to more than the circus [her first novel was the highly-praised The Circus in Winter], she asked her grandmother why there was no statue or plaque or memorial of any kind to its world-famous native son, composer Cole Porter – why didn’t the town celebrate its most famous son? He was often counted out but he always came back. Both his legs were crushed by a horse in a riding accident in 1937, but he endured multiple surgeries to his legs, learned to walk with canes, and wrote more Broadway musicals, Hollywood movie scores and hit songs. In WWII his music made the movie “Hollywood Canteen” a huge hit. He made Ethel Merman a star and discovered Mary Martin for the Broadway stage. Porter said “if I was born twenty years earlier, I would have been an Indiana banker” – that was his father’s wish, which thankfully for the public did not come true. 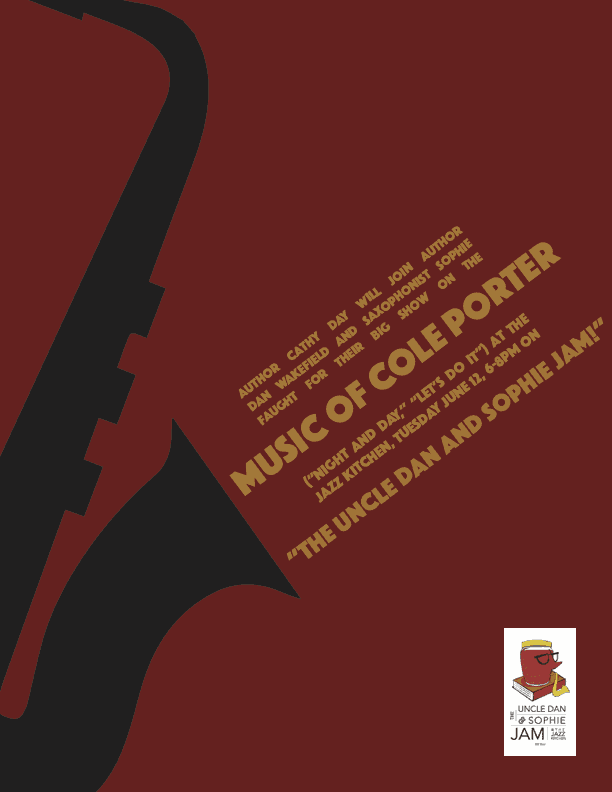 What a banquet of music and story to feast on, with our star saxophonist Sophie Faught and her trio playing Porter’s songs, and novelist Cathy Day joining me to tell the story of Linda and Cole Porter (the French called them “lecoleporteurs”) on Tuesday, June 12, at 6 pm at The Jazz Kitchen. David Amram has done everything in music and is still doing it. He has composed and conducted symphonies and concertos, written music for Broadway plays and hit movies, plays French Horn, piano, trumpet and instruments from around the world that he carries in a bag that looks like the one hefted by Santa Claus. 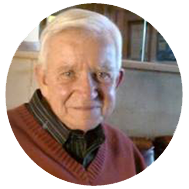 He has played jazz with Charlie Mingus, Dizzy Gillespie and Cecil Taylor, written the music for the Jack Kerouac and Allen Ginsberg “Home movie” called “Pull My Daisy,” acted in the movie, and written about it in his book Creating With Kerouac. He started off this year (his 87th) by going to Cuba to play in a music festival, and next week he is coming to perform at The Jazz Kitchen on College Avenue, Indy. Amram is one of my few fellow survivors of New York in the Fifties (he stars in my memoir of the same name and in Betsy Blankenbaker’s documentary based on the book.) He is a year older than I am, which makes him “beloved.” You have to be over 80 years old to be “beloved.” I am going to ask him how that feels when I interview him in a one-night revival of “Uncle Dan’s Story Hour” the night of May 10 at The Aristocrat Pub and Restaurant, which will be a lively prelude to his big concerts the next night, May 11, at The Jazz Kitchen. David will come accompanied by his percussionist, Adam Amram, his brilliant bongo-playing son. Last year after his Jazz Kitchen concert, Adam said “Dad was on fire!” The truth is, David Amram is always on fire! He makes the energizer bunny look like a loafer. Come and see our spectacle – May 10 for the interview/conversation and Amram’s piano embellishments at The Aristocrat Pub and restaurant, and May 11 at The Jazz Kitchen for the big concerts, in which I will reprise my role from last year of reading a selection from New York in the Fifties of Kerouac-ian prose while David plays in the background, just as he did in the original jazz-poetry performances in Greenwich Village. To resurrect a slogan from the era: Be there or be square!